nenne79 replied to Huegenhogen's topic in Vespa V50, Primavera, ET3, PK, ETS etc. nenne79 replied to nenne79's topic in Vespa Rally, Sprint, VNA, VNB, VBB, V125, etc. nenne79 posted a topic in Vespa Rally, Sprint, VNA, VNB, VBB, V125, etc. 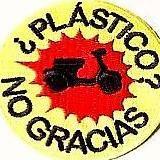 nenne79 posted a topic in Vespa V50, Primavera, ET3, PK, ETS etc. 180,-€ wollt der, dafür kann ich viel Farbe kaufen.